Now as much as really enjoy Bellator, and I appreciate all the work that Scott Coker and his team have put into making Bellator a serious competitor with the UFC – nobody has ever really taken the idea that Bellator are a competitor with the UFC seriously. Until now. Bellator 180 was just announced this past week, and first off it is going to be held in the legendary MSG arena in New York. Secondly it is going to a pay per view card, which is rare for Bellator, but something I suspect is going to be happening a lot more frequently moving forward. It was really when the UFC acquired Reebok as their partners a few years back, that essentially it stole UFC fighters rights to be able to have additional sponsors for their bouts in the octagon. This has significantly reduced the amount of pay that many UFC fighters can make, which given the fact that the UFC was sold for $4 Billion dollars to WME-IMG, has left many of the UFC fighters on the roster feeling financially underappreciated understandably. This has in turn caused many UFC fighters to opt to fight out their contract, instead of immediately signing new ones, knowing they can become a free agent once their UFC contracts are up, and they are able to go into the open market and find out what their value is. This situation has left the owners of Bellator (Viacom) very happy, because they have already been able to snap up many legitimate top UFC fighters by offering them much more lucrative contracts such as: Benson Henderson, Phil Davis, Chael Sonnen, Wanderlei Silva, Matt Mitrione Quinton Jackson, Rory Macdonald, Ryan Bader, Lorenz Larkin and many more. These acquisitions are becoming more frequent nowadays which is resulting in Bellator having a much more legitimately top tier roster of MMA fighters. This is all culminating in Bellator 180 on June 24th at MSG – where Bellator will be rolling out one of their most stacked cards ever currently featuring Chael Sonnen vs Wanderlei Silva in the main event, as well as Fedor Emelianenko vs Matt Mitrione in the co main event. Just today it was announced that Ryan Bader will be making his Bellator debut on this card against Muhammed Lawal, who is fresh off a victory over Quinton Jackson. Also we will have Michael Chandler vs Bett Primus, Douglas Lima vs Lorenz Larkin, James Gallagher vs Chinzo Machida, and there will likely be a few more surprise bouts announced in the coming weeks and months, because Scott Coker is known for often having an Ace up his sleeve. So if your a massive MMA fan like me, then this is all music to your ears, because more options for MMA fighters inevitably results in fighters getting paid more for the sacrifices they make for our own entertainment. 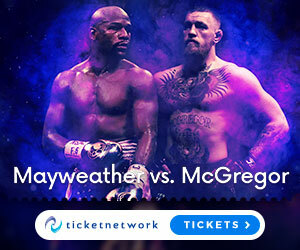 Its an exciting time to be a Bellator fighter and an MMA fan, so strap your self in because i have a feeling we are about to be in for a wild ride – and if you want to get some tickets for Bellator 180 at MSG in NYC on June 24th, then you can do that right HERE. If you have any questions or comments then feel free to drop them below, and i will get back to asap. Really great to here that Bellator is stepping up their game! The UFC is a great organization, but they have had a bit of a monopoly on the MMA scene. It will be nice to see the fighters get a chance to earn their true vale. Any ideas on who the next fighters that Bellator will be trying to sign? Hi Brendon, yeah your right it is great to see the UFC having some real competition – like you say its great for fighters to get more money, but in terms of who Bellator will sign next, the owners have said – anyone who’s available!